This entry was posted in Uncategorized on June 21, 2012 by george. I agree–save your money for a greatest hits package. Although I love “Kiss of Life” and “No Ordinary Love,” you can find those–and Sade’s other big hits from the 80s and 90s–and her Greatest Hits CD. 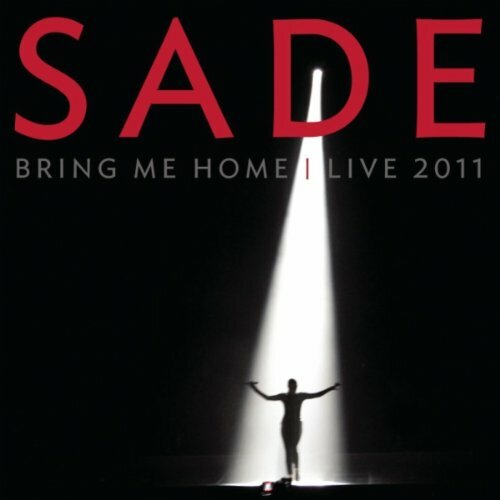 BRING ME HOME–LIVE 2011 is a CD only a hard-core Sade fan needs to own, Deb. The GREATEST HITS packages offer a better value. I’d definitely go with the Greatest Hits too. BRING ME HOME–LIVE 2011 is good but not great, Jeff. I’m a casual fan. When I hear Sweetest Taboo or Smooth Operator, I’m impressed but I never get around to getting any of her CDs. I’ll watch for a Greatest Hits. There are several GREATEST HITS packages for Sade, Beth. I have THE BEST OF SADE which includes all her hits. There’s also SADE; THE ULTIMATE COLLECTION if you want more choices. Wathcing the video, with horrid camera work, I’d say good but just okay. I’ll have to sample the GH CD, but may pass entirely. Why artists don’t put their best videos on YouTube so they can market their songs mystifies me, Rick. I only had a bunch of crappy videos to choose from. Sample the songs on AMAZON first before you decide to buy Sade’s GREATEST HITS packages.